Come join our creative journey to Alaska with instructors Holly Monroe and Gary Lord. There is still time to register! The ship is filling, but some cabins and spaces for the Calligraphy Cruise workshop and Decorative Painting are still available! Hurry and snag the cabin that fits your budget. We sail from Seattle June 21-28, 2014 on Holland America’s msWesterdam. A beautiful ship with a first class, window lined classroom allows us to work in comfort! Loved it when we sailed to the Caribbean! There are approximately 20 hours of classroom time – scheduled so that you see all of the sights, get off at all of the ports of call, enjoy the 5 star dining and evening entertainment and other amenities on board. Even a Dancing with the Stars competition on-board. Download Flyers for both the workshop and the cruise here. 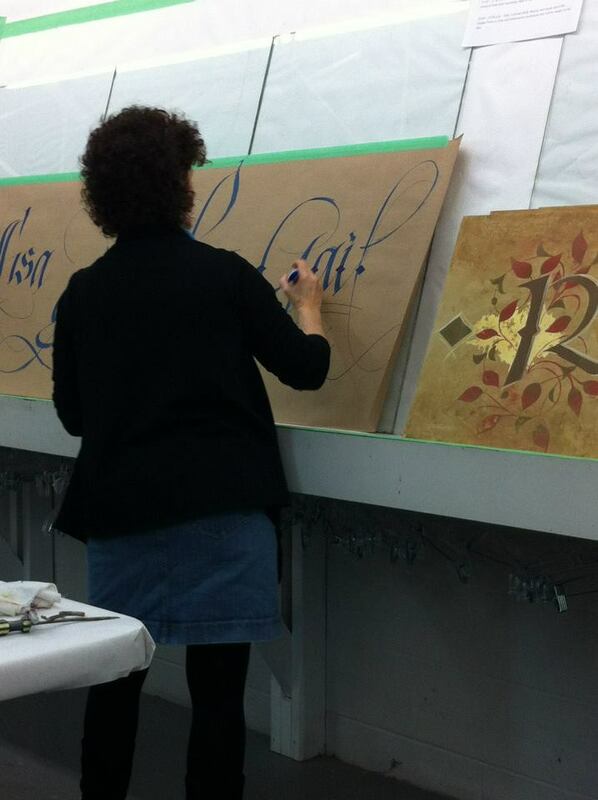 Tax deductible for calligraphers, decorative painters or artists in business. Call me! I’ll fill you in on the details. 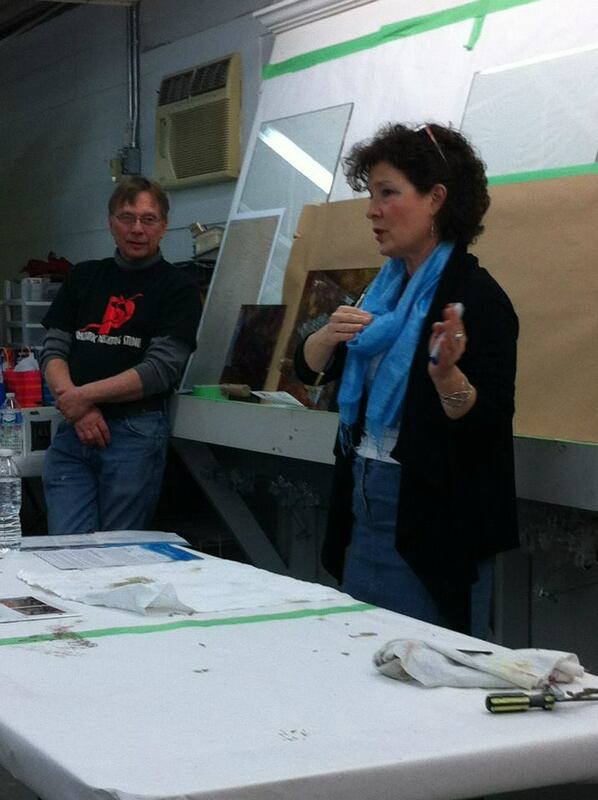 Instructor Holly promoting Alaskan Cruise at Gary Lord’s Prismatic Painting Studio. Gary on the left. Gary’s studio has won 9 national decorative painting awards in the last 9 years! Wow!